U.S. national team roundtable: Are Pulisic, Berhalter & Co. ready for Mexico and the Gold Cup? 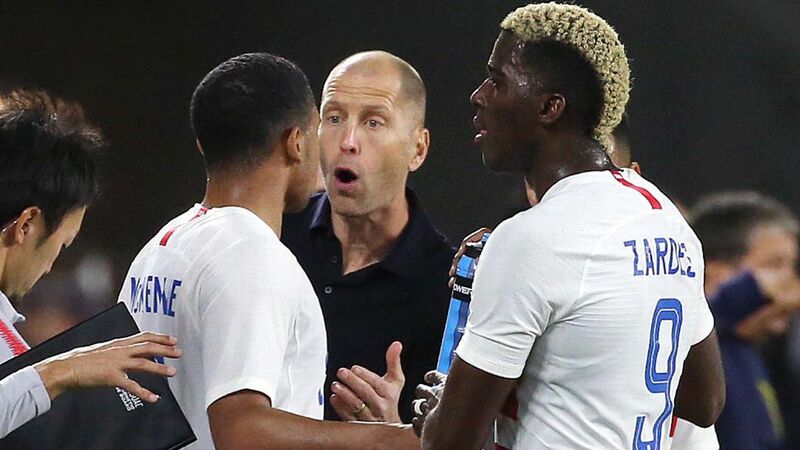 We're almost into the fourth month of the Gregg Berhalter era as U.S. men's national team coach, which has included two international camps and four friendlies. An experimental side beat Panama 3-0 and Costa Rica 2-0 at the end of January, and a squad full of Europe-based stars beat Ecuador 1-0 and held on for a 1-1 draw with Chile. 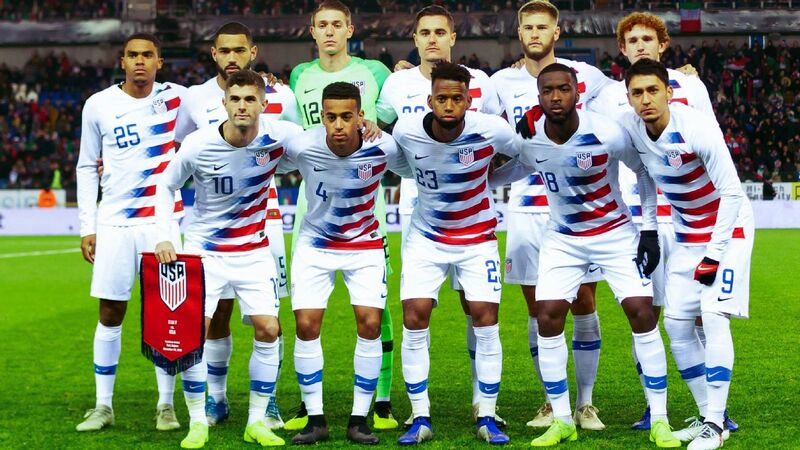 With no more scheduled friendlies yet before this summer's Gold Cup, it's time to take stock of where the USMNT stands. How is Berhalter faring? Which players have stood up and adapted quickly to his system, and which have shown their time at the national team level might be over? 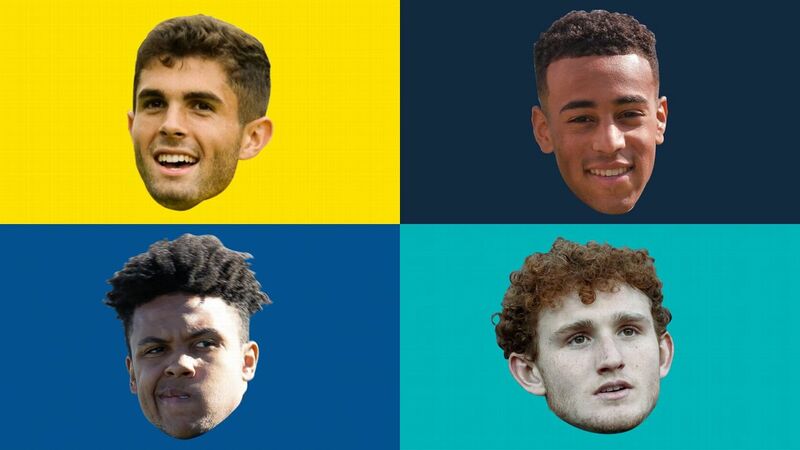 ESPN's USMNT experts review the progress so far. Is the U.S. ready to take on Mexico and win the Gold Cup? Jeff Carlisle (@JeffreyCarlisle): No. For all the good that Berhalter has done so far in his early days as manager, the U.S. still has a lot to prove after failing to qualify for the World Cup. There are some reasons to be encouraged in terms of what the U.S. has shown in 2019, but the "favorite" label remains with Mexico, which has looked dynamic so far under new manager Tata Martino. Noah Davis (@noahedavis): No. Over the past four friendlies, the U.S. showed vast improvement, ideas (if not execution) in attack and, for the most part, solid, organized and occasionally spectacular defending. As an American fan, it was all you could reasonably hope for and perhaps even a bit more. But still, in a July 7 final against El Tri at Soldier Field in Chicago, where the U.S. won't have a decided home-field advantage, Berhalter's team shouldn't be the betting favorite. Jason Davis (@davisjsn): No. A pair of games with the "full" team available is hardly enough time for the Americans to become comfortable with Berhalter's system, to say nothing of the injury concerns they now face. There was progress, but Chile's dominance of the ball and the U.S. inability to handle organized pressure doesn't bode well. The lack of confident finishing against a bunkered Ecuador team presages similar problems against weaker continental opponents, too. In compact spaces, the U.S. struggled to keep the ball or create clear-cut opportunities. Arch Bell (@ArchBell): No. That distinction primarily belongs to Mexico. El Tricolor were impressive in taking down Chile 3-1 and handled Paraguay fairly easily 4-2. Talent-wise, Mexico have the horses and now with an acute tactician in Martino, it is all there for Mexico to win its eighth Gold Cup. Also standing in the way of the U.S. is Costa Rica. You have to go all the way back to the famous "Snow Clasico" of 2013 to find the last time the U.S. beat Costa Rica when Keylor Navas was in net for the Ticos. The Real Madrid man is that good and makes that much of a difference. Gustav Elvin (@gpelvin): No. While the U.S. are more than capable of winning the Gold Cup, if I worked in Vegas I'd have to give Mexico a slight edge as favorites entering the tournament. Despite some progress, the U.S. still have a lot of questions to answer and remain a very young and inexperienced side. Meanwhile, El Tri have a clear advantage in attack at the moment with in-form players like PSV's Hirving Lozano, Wolves' Raul Jimenez, Porto's Jesus "Tecatito" Corona and West Ham's Javier Hernandez; and in Gerardo "Tata" Martino, might finally have a manager equipped to get the most out of the country's talent-rich player pool. The Gold Cup will come down to Mexico, the U.S. and maybe Costa Rica but a more experienced and better attacking Mexico side have to enter the tournament as favorites, especially when you consider the U.S. lack a true home-field advantage due to Mexico's tremendous following in the States. Where does the U.S. look strongest? JC: Aside from a shaky opening 20 minutes against Chile, the U.S. has looked solid defensively, conceding just one goal in its first four games. The reasons for this go beyond the play of the back line, too. The back four have been composed on the ball for the most part and have shown they can recover well when the opposing team counters. 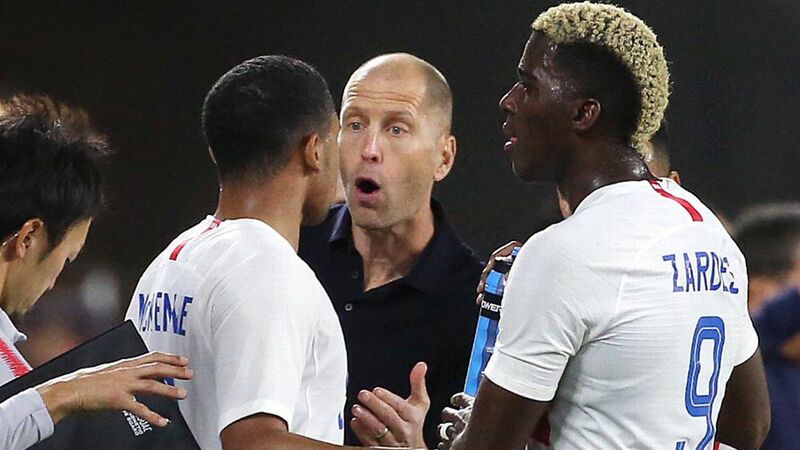 That job is made easier when you have most of the possession, which the U.S. achieved by a considerable margin in its first three games in 2019. But even against Chile, when the visitors engaged their high press and had more of the ball, the U.S. defense held firm, especially after some tactical adjustments by Berhalter. ND: For a variety of reasons, modern national teams will never be able to pull off groundbreaking tactics, so they shouldn't try. What they should have is a simple plan: an understanding of how they want to play, the responsibilities of each position on the field and various other details that lead to success. This plan might not always succeed -- players are human and will mess up, other teams are just better, the ball bounces the wrong way, etc. -- but at least it will be attempted. After a rather rudderless half-decade, Berhalter arrived and managed to instill a plan within his first three months. That's an impressive feat, and one worth celebrating. I, for one, am here for the rapid transition from the "Lolz, whatever" era of American soccer to the "Here's exactly how the left back should play" one. Also, the emergence of Tyler Adams is an excellent development. Berhalter, center, has imparted a lot on this U.S. squad in just three months. It's not enough yet to say this team is ready for a challenge like the Gold Cup. JD: For the first time in what seems like years, the U.S. has clear ideas for how it wants to play when it starts a game. Berhalter's strength is in the planning, a fact that was obvious over two games against Ecuador and Chile. Though those games played out very differently and the new coach was forced to make adjustments to account for new problems, the Americans never looked aimless. The gap between plan and execution remains large, but Berhalter has initiated the first step in giving the USMNT a base to work from. Fans can have faith that Berhalter will use the data from these games to help refine the team's approach. AB: The U.S. can feel pretty good about its future in midfield. 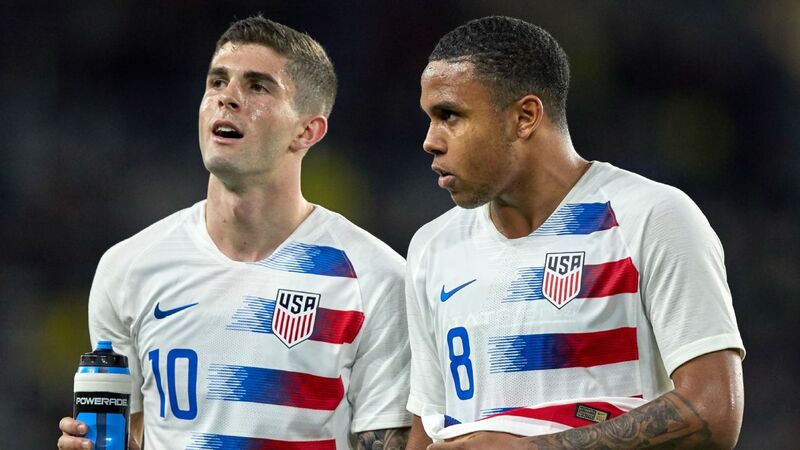 Christian Pulisic, Weston McKennie and Tyler Adams -- even though Adams played right-back against Ecuador -- form a trio in the middle of the park that is capable of managing games and providing calm when needed. A strong, intelligent midfield lends itself nicely to Berhalter's desire to play a possession-based soccer in which positional advantage is paramount. And with wingers like Paul Arriola in the mix, the U.S. has the pieces to frustrate opposing defenses. 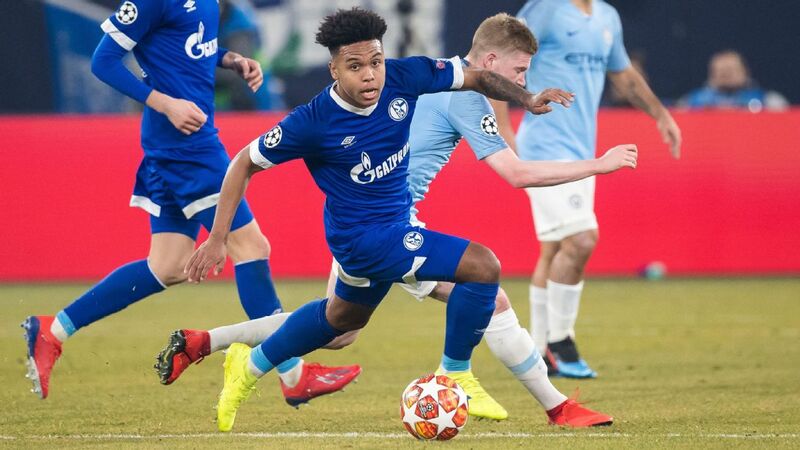 GE: Gregg Berhalter inherits a very talented midfield pool led by three 20-year-olds in Christian Pulisic, Tyler Adams and Weston McKennie who are currently starring in Germany. This trio figures to make up the midfield for the next decade for the U.S. and in Pulisic, the U.S. already boast a genuine star and pillar to build the side around. 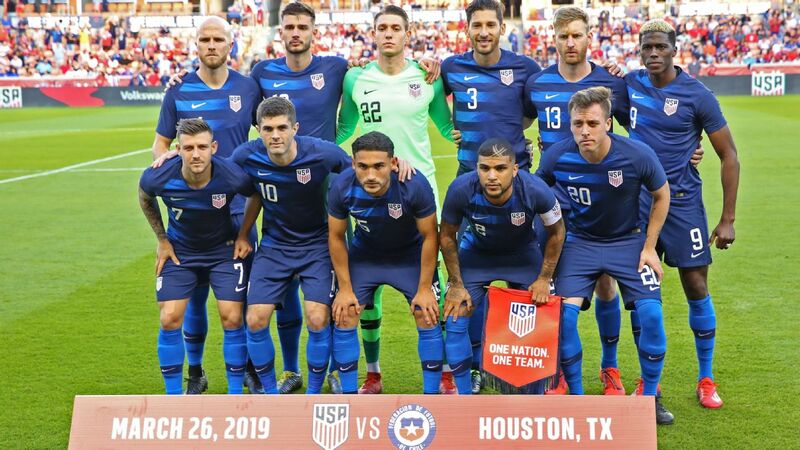 Add in players like Sebastian Lletget, Kellyn Acosta, Cristian Roldan, Wil Trapp, Paul Arriola and the still useful Michael Bradley, and the U.S. look to finally have some depth and different options in midfield. The U.S. have holes to fill in other areas but the midfield looks to be a clear strength for both the immediate and long-term future. Where does the U.S. look weakest? Pulisic and McKennie are two of the brightest spots for the USMNT, but both suffered injuries during these two games. Others will need to step up and shoulder the creative work. JC: Creating chances. This deficiency was laid bare in the last two games when Pulisic wasn't on the field. In both games this break, the effectiveness of the U.S. attack dropped considerably after he exited. There is simply no other player in the pool who can provide what Pulisic does in terms of dynamism and speed. 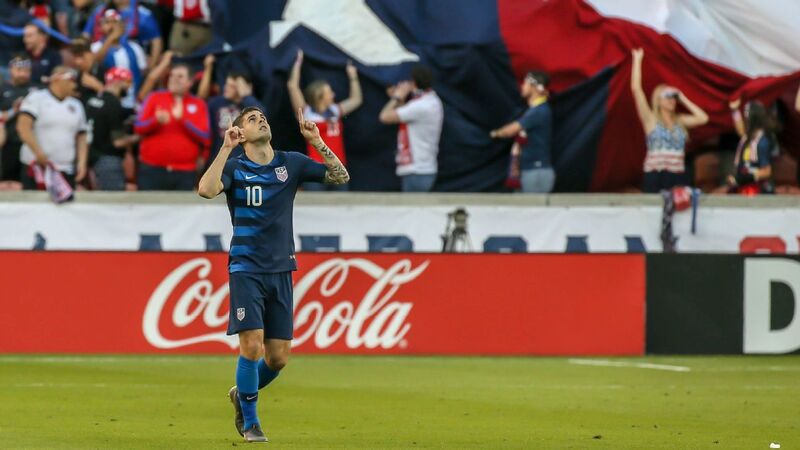 Given that he sustained yet another soft tissue injury against Chile, there are legitimate concerns about Pulisic's durability, and until some more creative options step up, the "Hack-a-Pulisic" strategy employed by opponents in World Cup qualifying won't go away anytime soon. Positionally, there are still questions at left back, but that's less of a concern than the state of the attack. ND: Putting the biscuit in the basket. Three goals against Panama. Two vs. Costa Rica. One in a possession-dominant win against Ecuador, and another versus a Chile squad playing for the coach's job. Seven goals over four matches isn't a bad return, but it's not great, either. More concerning: As the competition improved, the chances diminished. 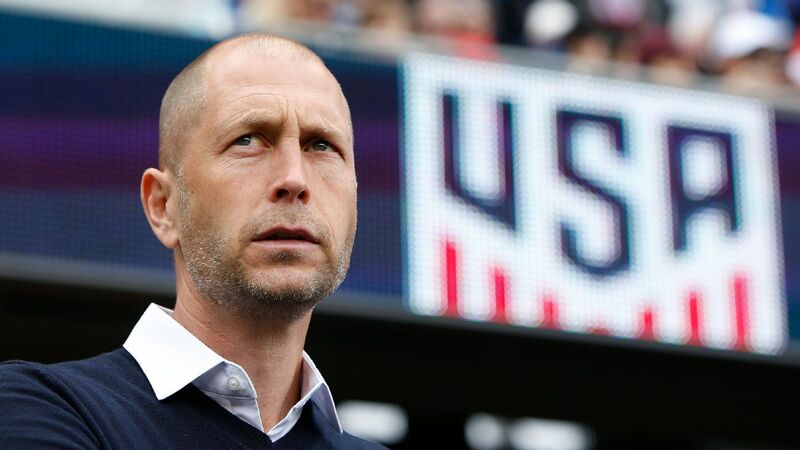 Clinical finishing has never been a U.S. strong suit, and that trend looks to be continuing early in the Berhalter reign. It's not dire yet, and a potent, cohesive attack should be the last thing to click under a new coach, but it's worth watching. With "next great American hope" Josh Sargent not quite regressing but not exactly succeeding at Werder Bremen and no one else obviously stepping up, there's a void in front of the net. JD: Left back remains an area of distinct concern. It's nothing new, but it is a pressing issue in the midst of installing a new system of play. 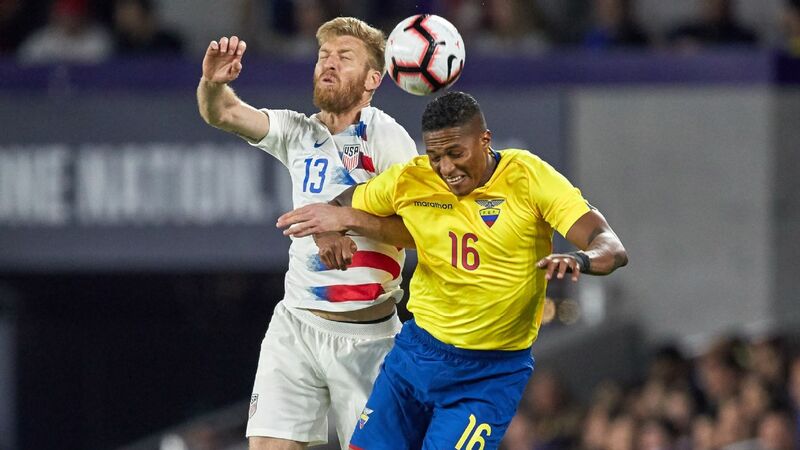 Tim Ream started against both Ecuador and Chile and looked uncomfortable and error-prone in both games. His lack of footspeed isn't as glaring an issue with the left back expected to stay deep under the American plan, but any player in the position must be comfortable and clean on the ball. Berhalter needs a player there who can defend one-on-one in addition to breaking lines with his passing and helping to cover space when the U.S. center backs are pulled out on the counter. AB: For years now the U.S. has had a revolving door at center back. 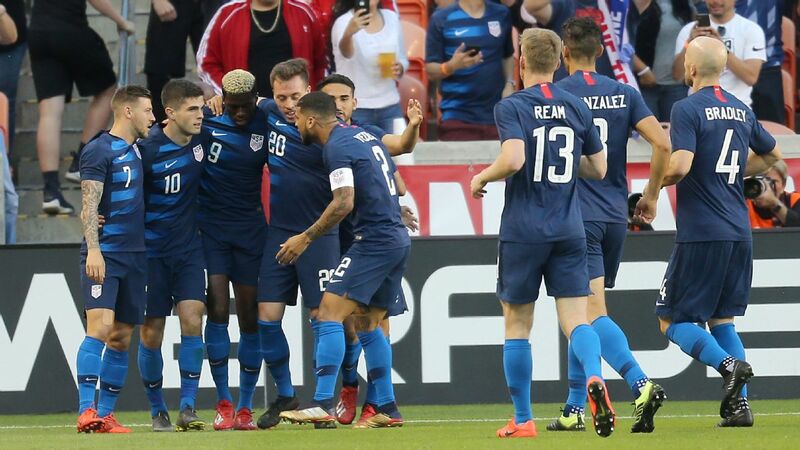 There are times when you think a pair has been found, only for it to come unraveled at an inopportune time; Ream and Geoff Cameron in the 2-0 home loss to Costa Rica in World Cup qualifying comes to mind. In 2018, Cameron Carter-Vickers and Matt Miazga looked up to the task but then got shredded by Brazil in a friendly. Aaron Long is emerging, but we've seen other former MLS Defenders of the Year get put through the rinse cycle at the international level (see: Matt Hedges in the 2017 Gold Cup). Then there is John Brooks. When he's on, he's excellent, but when he's off, he can be the worst player on the field. There shouldn't be this many questions about who should form the base of the U.S. spine. GE: While full-back would also have been a more than acceptable answer here, the biggest worry with the U.S. is striker. In plain terms, outside of Pulisic where do the goals come from? 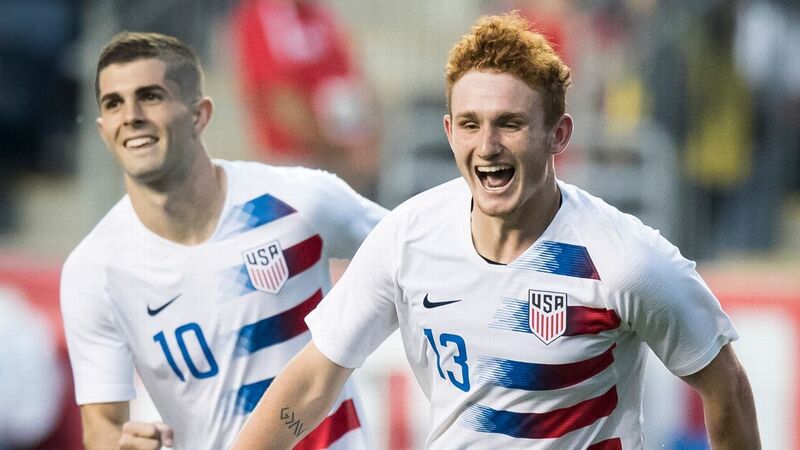 While the U.S. look to have a striker of the future in Josh Sargent, it would be a serious ask to expect a 19 year old to carry the fortunes of the U.S. at this summer's Gold Cup. 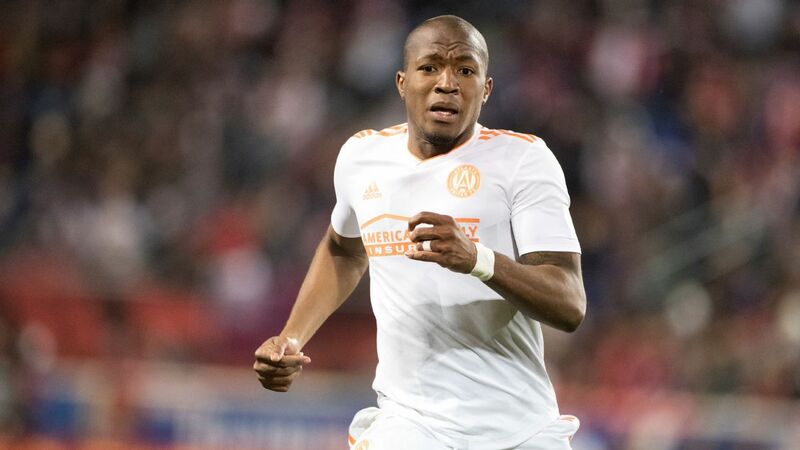 Unfortunately, that keeps the same group of retreads in the mix at the striker position, as players like Jozy Altidore and Gyasi Zardes will get yet another chance to lead the line. Could a Christian Ramirez or a healthy again Jordan Morris break through? Maybe, but the fact that Altidore, Zardes and Bobby Wood are still even in the picture is sobering to say the least. Which player deserves more of a role for the national team? 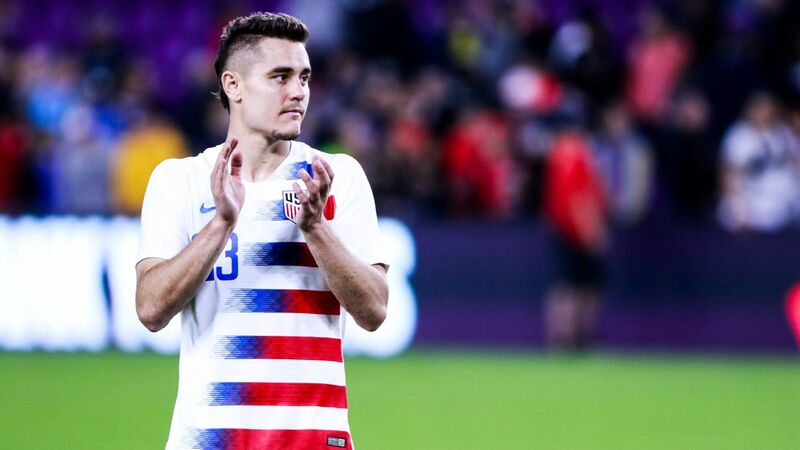 Aaron Long's reliable, consistent form in MLS with the Red Bulls has extended to his time with the U.S. national team. JC: Aaron Long. He has been reliable both with the ball and without, and his ascension has been such that at the beginning of the year, Miazga's "guaranteed starter" status isn't so clear-cut now. Gyasi Zardes has shown some attributes -- namely decent passing skill in the attacking third -- that he hadn't shown before.Jozy Altidore still seems a strong candidate to reclaim his starting role, but Zardes is pushing him more than was previously thought. It helps that Zardes is familiar with Berhalter's approach from their time together in Columbus. 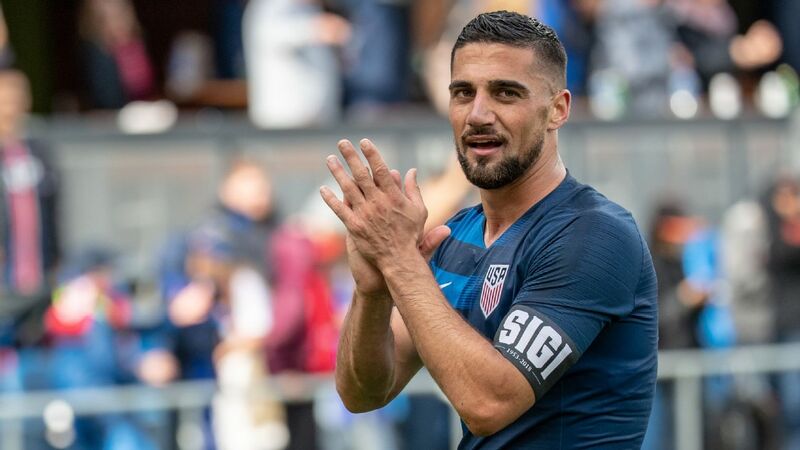 ND: Sebastian Lletget. For a personable, charismatic dude who isn't afraid to flash a million-watt smile and some bling, the LA Galaxy's star player is remarkably restrained. He does things simply. Simple touches. Simple passes. Simple shots. Simple creativity. Simple success. Lletget gets the job done. While his national team body of work isn't large, his impact has been. If he can stay healthy, he should remain a big part of Berhalter's plans. Where and how to get him on the field are tougher questions, but "Da Boy" needs minutes. And yes, this squad desperately needs an injection of charisma as well. JD: Long, both because of his performance against Ecuador and because of Omar Gonzalez's and Miazga's struggles against Chile, looks like the big winner from this U.S. camp. Long improved his stock with a strong performance alongside Brooks in a game that put defenders on the ball often and forced them to cover space on occasion. The sample size is small, but Long helped his case for a greater role moving forward with his athleticism and heady play. AB: In the post-Trinidad and Tobago era, Lletget has appeared in six matches, but all as a substitute. In his appearances off the bench, the LA Galaxy man has impressed, and it's time for the midfielder to start getting more opportunities as a starter. Lletget has gotten off to a terrific start this season in MLS, being named to the MLS Team of the Week in Week 3. Berhalter is a coach who likes to disrupt defenses, and Lletget at central attacking midfielder is a nice fit for that approach. GE: How about Fabian Johnson? The U.S. have a clear void at left-back and the German-American at age 31 is still a regular starter in the Bundesliga for Borussia Monchengladbach. Is Johnson the answer for 2022? 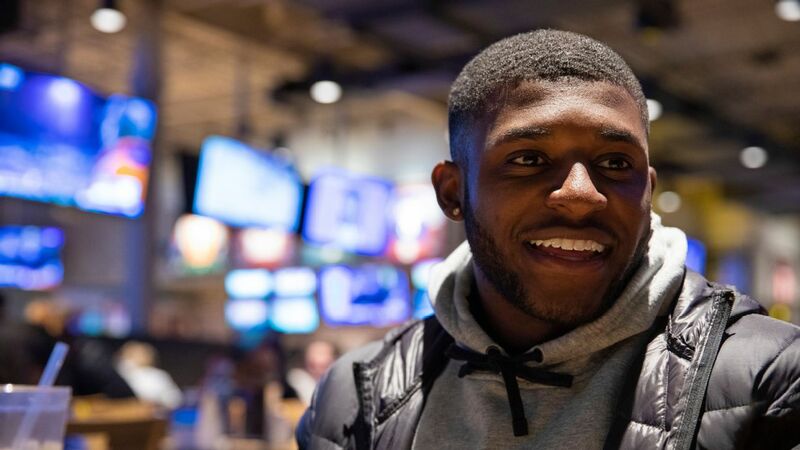 Probably not, but he can serve a purpose in the interim and it would be wise for Berhalter to call the USMNT's forgotten man in from the cold. 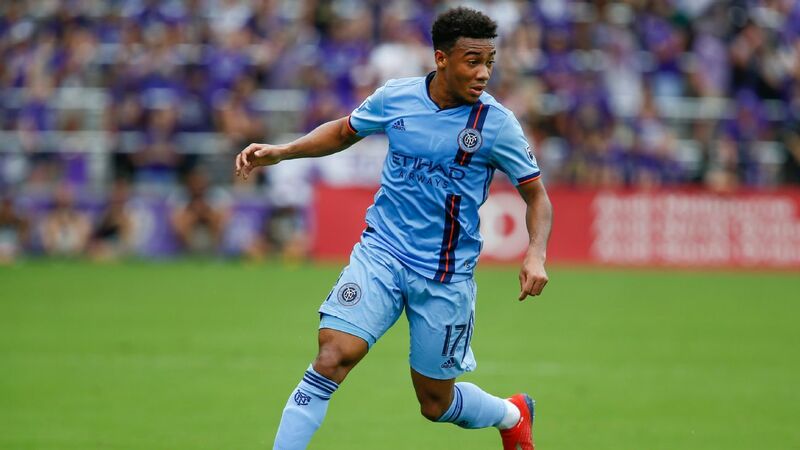 Johnson is versatile enough to play either full-back spot or in midfield and is presently a better option at left-back than Antonee Robinson, Jorge Villafana, Tim Ream or Daniel Lovitz. Berhalter might need to mend a few fences with Johnson after he was cast off by predecessor Bruce Arena, but then, some fences are worth mending. Who has shown they might not be USMNT-worthy? Tim Ream, left, is solid enough, but his shaky defending and risky decision-making on the ball could prove costly in a big match. JC: Jordan Morris didn't help himself much in these last two games, though he had a higher mountain to climb in terms of picking up Berhalter's system since he didn't participate in the January camp. He is pacy, a trait that the U.S. needs, meaning he's likely to get more opportunities. Ream as an outside back seems a shaky proposition as well. Twice in the past two games he had wayward backpasses that nearly resulted in goals, continuing a trend at the national team level where he has had long stretches of impressive play only to undo it with a catastrophic -- or near-catastrophic -- mistake. ND: The easy answer is Gonzalez, who's too far down the depth chart and out of sorts at the international level to matter. The harsh answer is Zardes. The target man has been a workhorse for the new-look U.S., maintaining possession, pressing when needed and doing everything that has been asked. 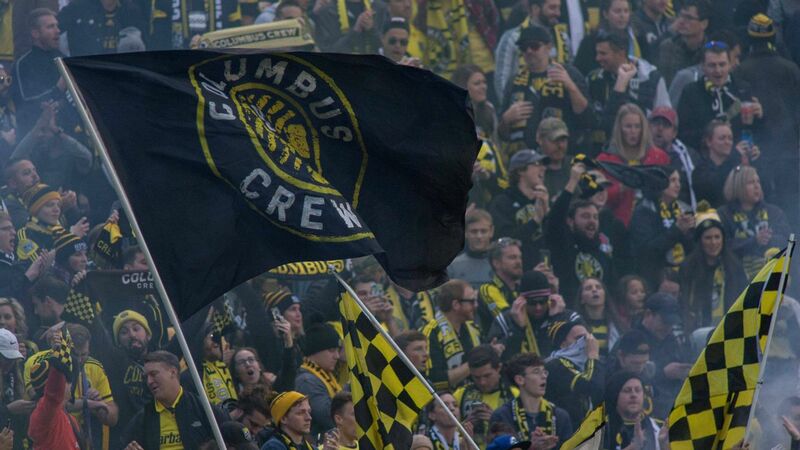 He fits into the system, knowing it well after having spent time being coached by Berhalter at the Columbus Crew. Still, he'll never be the dynamic offensive force the Stars and Stripes need to reach their near-term potential. The 27-year-old forward gets voted off the island if for no other reason than supporters should hope another player forces the manager's hand. The "Hot Take" answer is DeAndre Yedlin who has a, shall we say, wavering attention span and occasional disinterest in participating in the proceedings at hand. JD: Gonzalez's rough outing against Chile told us all we need to know. His recall was a bit of a surprise and not just because of his role in the American failure to qualify for the World Cup in Russia. 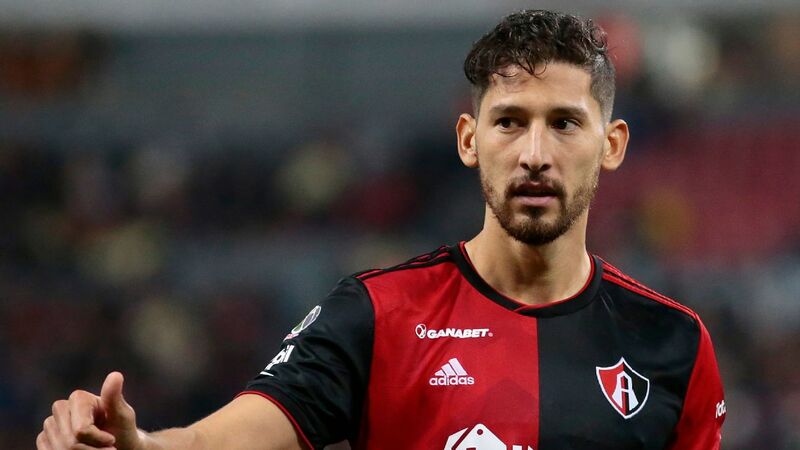 A solid defender in the right circumstances, Gonzalez is not comfortable with the ball at his feet and is prone to making mistakes under pressure in the box. AB: Beloved by some and loathed by others, Michael Bradley remains part of the USMNT setup and has appeared in all four matches under Berhalter. However, it's time for him to step aside. When the 2022 World Cup in Qatar kicks off, Bradley will be 35, an age that is unkind to the legs of midfielders in World Cup matches. There's no doubting his leadership qualities, but what the national team needs is a new voice in the huddle. 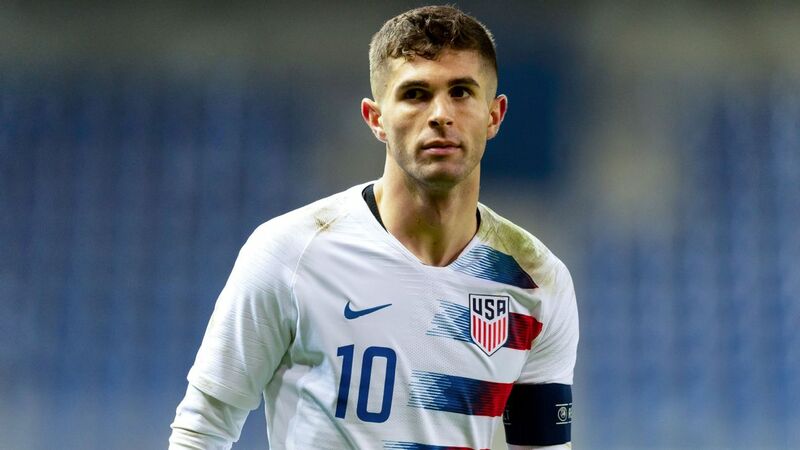 No matter who the new team leader is -- Yedlin, Brooks or Pulisic, to name just three options -- his leadership style will need to be developed over the next three years through experience and not thinking he has to defer to Bradley. GE: Gonzalez. As a disclaimer I have never rated Gonzalez very highly at international level but his inclusion at present makes even less sense to me. With the U.S. having stronger and younger options like John Brooks, Matt Miazga, Aaron Long and Cameron Carter-Vickers, why waste time playing the 30-year-old Atlas center-back? The former MLS Defender of the Year struggled mightily in his return to the national team vs. Chile on Tuesday, looking as nervous as ever on the ball and confused at points as to who he should be marking. 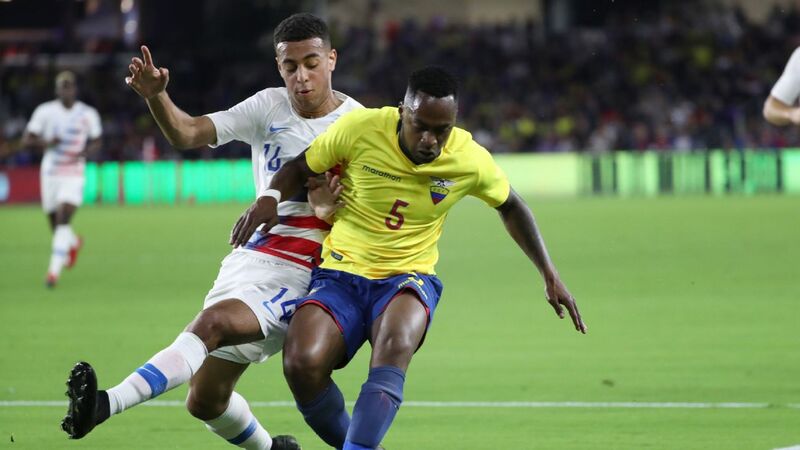 Gonzalez, who scored the horrific own goal on that fateful night in Trinidad and Tobago, is on the decline and with better options with more upside ahead of him, it is time Berhalter pulled the plug on a player who has been erratic to say the least at international level. While we are at it, Ream is another who looks to be in over his head when playing international football, especially as a left-back.